Reclusive designer Victoria Andrews hasn't gone outside in five years, though she yearns to escape the prison of her house. She designs sensual lingerie for the most exclusive dressmaker in London, although she has never known a man's touch. The cold, precise Duke of Montford demands things his way: neatly ordered, in place, and adhering closely to the rules. So he is furious when he learns that the tenant of his ducal estate has been dead for a year, and a stranger has been running the Honeywell business - which, by contract, is now Montford's. When he arrives in Yorkshire to investigate, he discovers that the estate is being run by an unruly, tomboyish woman - and a bluestocking at that! Two hotheaded Highlanders, the offspring of feuding lairds, are tricked by the King's Regent into a desperate choice: marry or die. Bhaic MacPherson is more disposed to lead his clan into battle than stay married to the daughter of his enemy. But perhaps the intensity of his feelings has more to do with desire than hostility. Ailis Robertson wanted a husband, not a savage - but when her family was faced with a deadly ultimatum, she had no choice. Great book and awesome narration.. 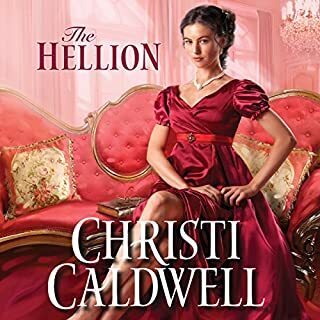 When straitlaced spinster Margaret Andrews tries to stop her headstrong younger sister Amelia from eloping with the wrong man, the last thing she expects is to be caught in a coach accident. 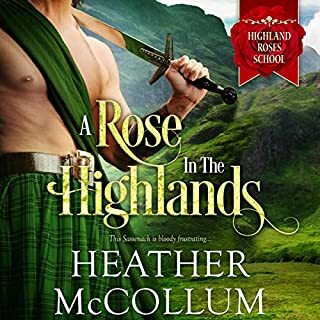 Stranded in Scotland with a dangerously handsome Highlander, she must put aside her genteel sensibilities and learn to survive. Cain Sinclair rescues the prim and proper Margaret, but he knows she'll never want a man like him. As a self-proclaimed sinner, he lives his life from one day to the next. He unravels every thread of decorum she possesses, tempting her to throw away propriety. Margaret sees a man worth saving, but Cain fights her efforts to reform him. 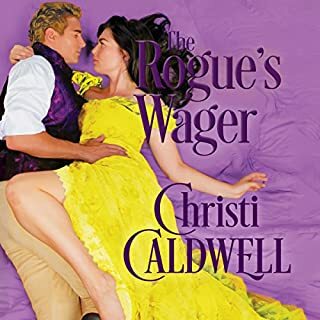 When Cain risks everything to save his brother from the hangman's noose, Margaret must break all the rules to get him back... or lose him forever. I enjoyed reading the whole series of the Andrew sisters. Finding their true love in the most unlikely places. I laughed I cried and was surprised by the hidden suspense. Good reads. Who would you have cast as narrator instead of Sue Pitkin? Sue was better in the first 3 books, but this was not good. Her men's voices were never the best, but yikes. The voices she used for Henry and Beatrice was grating, seriously grating on the ears and nerves. The villains, while also grating, were understandable. The other men were just plain irritating. Cain Sinclair's voice had a sinister quality, one that I found out-of-character. Margaret's voice was not consistent, which bugged me. I keep a log of Good and Bad narrators. This book caused me to move Sue Pitkin from Good to a new category: So-So. This is the fourth and final book in the Secrets in Silk Series. While it's predominantly the story of Margaret Andrews, the 25-year old unmarried second Andrews sister, it pulls in a lot of details from the other three books. It ties some loose ends, and even gives us a pleasant surprise in the epilogue. Margaret is the straight-laced daughter (as in "unlaced"), the good daughter, who always obeyed all the rules, sought to please her parents, and complied with British societal mores. She gets caught up in an attempt to save her sister, Amelia, who was drugged and kidnapped by an English Lord. (Amelia's story is book 3.) However, Margaret is involved in a serious accident while searching for her sister. Book 4 tells the story of her accident, recovery, and return to her parents' home in Scotland. This is another good book in the series. Honestly, I wasn't expecting to like it as much as I did. Given Margaret's personality (even though I knew the book would have some spicy parts) I thought it would be a good story to sum up the series while telling her story. Although it was all that, it had a story all its own that was full of action and intrigue. I liked it! This was okay and a good way to wrap up the series. The story was enjoyable enough if one doesn't look too deep. What really ruined this for me was the narration. For some reason, in this final book in the series, the male voices on this audiobook were horrid. The narrator just missed the mark.